An increasingly important date in the calendar, Friday 8 March marks International Women's Day 2019. This week sees a host of events taking places around the country, celebrating women and focusing on positive change. From inspiring and motivating panel discussions to public events demanding better conditions for women in Ireland and beyond, here's are just some of the IWD events that are on this week. Deborah Somorin, Brendan Courtney and Dee Forbes. On Thursday 7 March, RTE will host a panel discussion on women’s status and challenges in modern Ireland. Taragh Loughrey Grant will be leading proceedings and guests include Deborah Somorin, a woman who overcame homelessness at 14 to become an accountant with PricewaterhouseCoopers (PWC); fashion designer and presenter, Brendan Courtney, and RTÉ Director-General Dee Forbes. The Mountains to Sea festival kicks off with two events on 8 March. The first is #BalanceforBetter: Storytelling and Activism, in association with the UCD School of English, Drama and Film. UCD’s Dr Anne Mulhall will chair a discussion on gender balance featuring authors Melatu Uche Okorie, Philomena Mullen and Rosaleen McDonagh. The second event, Food for the Soul, takes place in dlr LexIcon. It promises to be an interesting discussion on food writing and the politics of food, with Sarah Maria Griffin and Lilly Higgins. Tickets for both events are available here. Dublin’s main thoroughfare is the starting point for this year’s women’s march. The #Time4Equality event is an International Women's Day coalition that includes Union of Students Ireland, ROSA, Ruth Coppinger TD, Trans Pride, United against Racism and more. All are welcome to attend and this year organisers are calling for an end to gender based violence and the gender pay gap, along with expressing solidarity with the struggle for reproductive rights in Norther Ireland. It all kicks off at 3pm on 8 March. The home of Munster rugby, Thomond Park, is the venue for a special event by Network Ireland with event partner Limerick Local Enterprise Office. Hundreds of women are expected to attend the conference which will be MCd by Deirdre O’Shaughnessy, editor of Cork’s 96fm Opinion Line. This year’s speakers include Lorraine Lordan from Oscar-nominated Cartoon Saloon, former Ireland rugby international, Fiona Steed, performance coach Gerry Hussey and Michelle McGreal Cultural Transformation Lead and Head of Diversity & Inclusion AIB. Not a single event but on March 8 not-for-profit organisation, Dressed for Success Dublin will be running its largest campaign of the year. 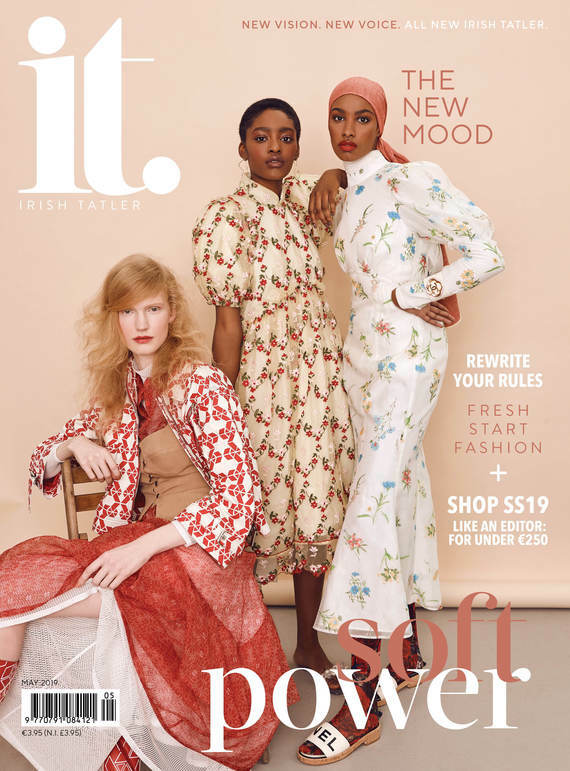 Founded by stylist Sonya Lennon it’s the Irish arm of an international initiative that empowers women to achieve economic independence through the workplace. If offers styling advice, mentorship and career development tools. On International Women’s Day, there will be events and fundraisers all around the country. If you’re thinking of getting involved, there are lots of ideas on the Dressed for Success website. What: Balance for Better - A Panel Discussion on Accelerating Gender Balance. An inspiring panel will take part in a discussion on accelerating gender balance and share their personal stories at this IWD event in The Digital Hub. Elaine Burke, Managing Editor of Silicon Republic will chair the conversation and panellists include Avril Copeland, Founder & CEO of Innerstrength Ltd.; Talita Holzer, CEO & Co-Founder of waytoB; and Dervilla O'Brien, Founder, HealthBridge Technology and Owner, Outside the Box Executive Development.